"Bob's information is by far the most honest and caring presentation I have come across in my 20-plus years in the business. Easy to grasp, factual and painfully realistic, you'd be foolish to prefer anyone else on this subject." "Applying many of Bob's ideas, and without any wholesaling or distribution, I sold more than 20,000 CDs and cassettes of my music over the last five years. Using his suggestions, I increased my fan base by 35% in just one year. Pretty good for a non-performing artist who does all studio work. 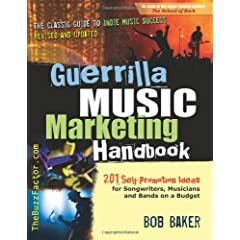 Bob is the master of music marketing!" 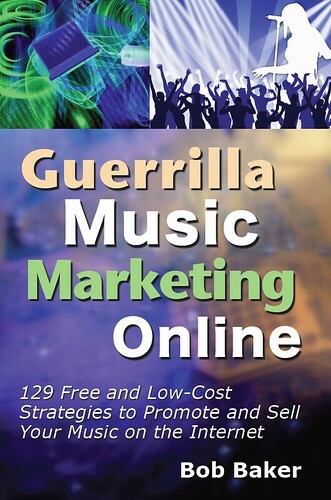 Power Up Your Promotion With These Music Marketing Classics! Use the 19 overlooked tactics revealed in this 78-minute audio training program to generate more music cash flow this month, this week ... even today! Who is Bob Baker? 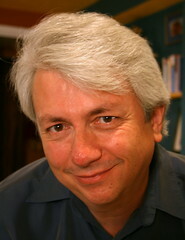 Bob Baker is an author, musician, and workshop leader who is dedicated to helping creative people of all kinds get exposure, connect with fans, and increase their incomes through their artistic passions.